For some doorways in hygiene controlled areas it doesn’t make sense to fit a traditional hinged, rolling or sliding door due to heavy traffic. Traffidor Hygiene double-swing doors offer a great solution for these doorways. For some doorways in hygiene controlled areas it doesn’t make sense to fit a traditional hinged, rolling or sliding door due to heavy traffic. 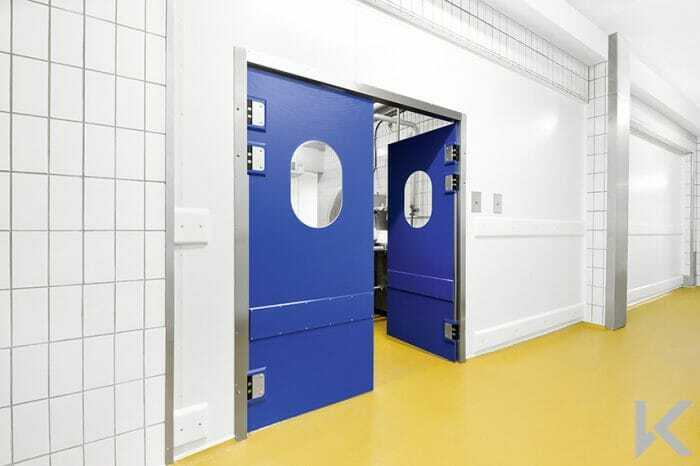 Traffidor flexible swing doors are ideal for this type of application; providing reliable performance and easy operation, as well as being low-maintenance and strong enough to stand up to constant use. 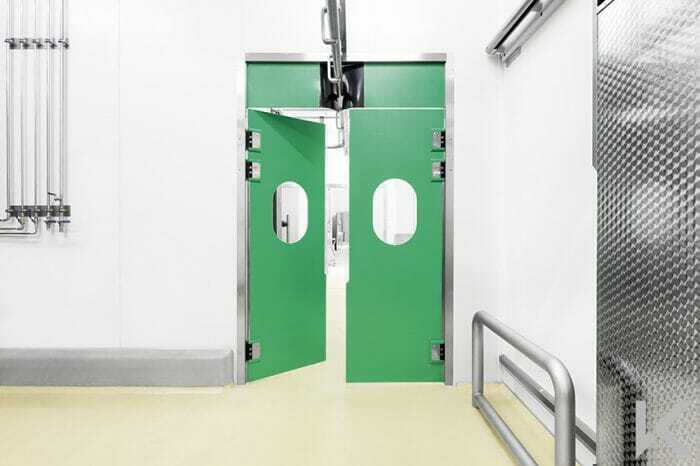 Swing doors are designed to meet necessary standards for hygiene areas such as for the food industry and are constructed to be resistant to fats, acids and solvents as well as being easy to clean. 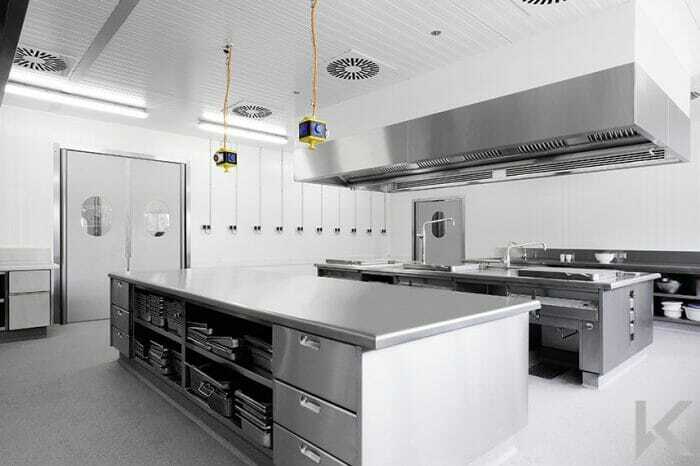 The Traffidor range offers vastly improved hygiene performance when compared to strip curtains as they can be simply washed down and they do not drape across products, minimising the risk of cross-contamination. 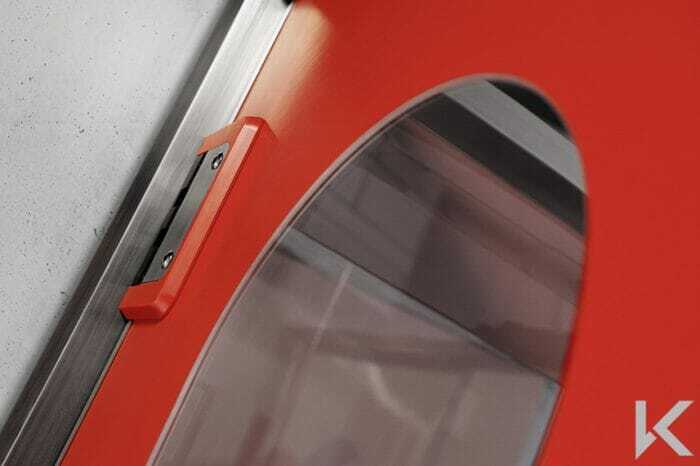 The door leaf can be constructed from a variety of materials including: PE 500 in a range of colours; transparent PETG; stainless steel; and transparent PVC. Doors with PE leaves can be supplied with vision panels to improve safety and these have a flush profile offering superior hygiene. The doors also feature an optional anti-crush leading edge profile to prevent finger trapping. 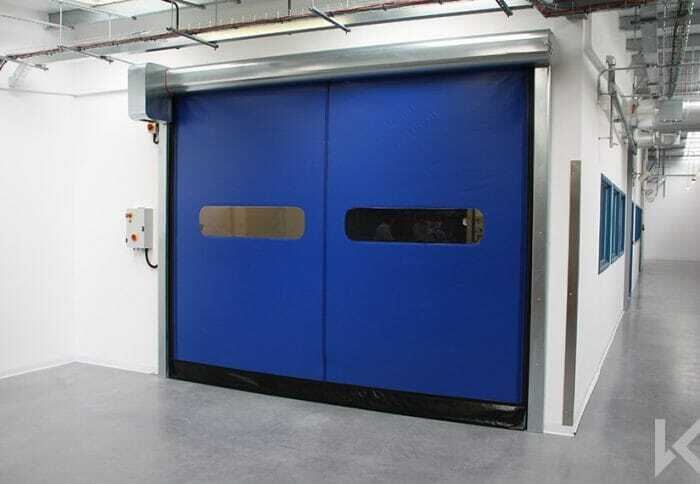 Swing doors are typically fitted with a stainless steel corrosion-proof pivot tube which offers very low maintenance and safe operation for personnel. The doors also have the option for an integrated 90° door stay to help maintain productivity and prevent the risk of damage to products. Other types of swing hinge and gallows brackets are also available in order to optimise the doors performance according to the traffic type and levels.